Some people labor in the background, while others bask in the spotlight. For years, Sharon Robinson could be described as the former. 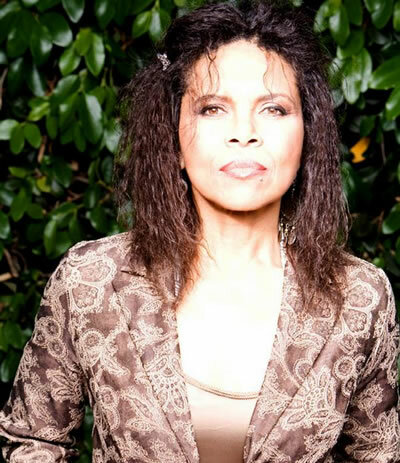 If she was known at all, it was as Leonard Cohen's writing collaborator, backup singer, and record producer, though she has written songs on her own as well--for Aaron Neville, Diana Ross, Don Henley, Randy Crawford, and others. As it turns out, many of my beloved Cohen songs are ones she has co-written: "Everybody Knows," "Waiting Far A Miracle," and my all time favorite, "A Thousand Kisses Deep." Or maybe I should call them Sharon Robinson songs that Leonard Cohen has co-written. From the evidence on Everybody Knows--Robinson's first foray into the foreground--her influence on the legendary songwriter may be as great as his on her. The tunes here that she wrote on her own--"Invisible Tattoo," "Party For the Lonely," and "The High Road"--stand up proudly next to Cohen co-writes like "Alexandra's Leaving," "Summertime," and the title tune. Their strong melodic sensibility and solid structure hint that Robinson had a significant role in shaping Cohen's poetry into pop tunes. Despite a feel so relaxed that it skirts lassitude, Everybody Knows contains a quiet power. Robinson the producer has couched Robinson the singer in complimentary sonic colors that allow her sultry alto to intone each perfectly-turned lyric clearly. Cohen's wonderful lines like, "Do not stoop to strategies like this" (from "Alexandra's Leaving") can sound precious in the wrong hands, but Robinson's conversational reading makes the lyric sound earthy, like a great actor helping us hear Shakespeare as everyday speech. These performances drip with understated, but palpable, feeling. The majority of tunes are built around mid-tempo, neo-soul grooves that lull you into a sensuous state, ripe to receive the passionate messages of the lyrics.